Most employer sponsored visas require the business to show that there is no “adverse information” or that the business has a “record of compliance” with Australian immigration laws for approval. If your business has been non-compliant, this can result in being locked out of employer sponsored visa programs. Even if Immigration does not decide to impose one of the above sanctions, it can still result in your business being exposed to extra scrutiny when applying to sponsor staff. This means slower processing of visa applications as more documentation is requested than is usually the case. Special task forces have been established by the Department of Home Affairs to target employers, sharing data with the ATO and Fair Work Ombudsman. Imagine the damage to your business’ reputation if you were to “named and shamed” on the Minister’s media release page. Many businesses discover too late that a key staff member has a visa problem. Particularly if the staff member is involved in a major project, the business can face significant loss due to the down time involved in regularising the staff member’s immigration status. 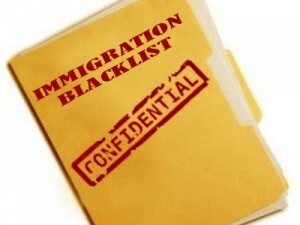 How can vSure keep your business off the Immigration Blacklist?